Hello Possums!!! 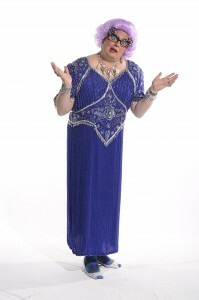 Hire The Award Winning Dame Edna Impersonator: Scott Mason for Your Next Event! 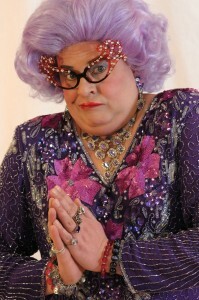 Scott Mason was named Dame Edna's "Honorary Understudy" by the real Dame Edna creator Barry Humphries in February 2010.Scott's impersonation of Dame Edna is available for: Full length shows, Holiday shows, 15-120 minute stand-up, emcee, birthdays, weddings, etc. Clean comedy for 13+ crowd. APPEARANCES TAILORED TO YOUR UNIQUE EVENT!